Relying on quality Buick repairs, maintenance and service should keep your vehicle on the road for many miles to come. Your Buick has the most value and importance to you on a daily basis. Not only is it a considerable investment; it’s also your primary method of transportation in which you rely on heavily for work related and personal needs. So when it comes to Buick service, there are some things you as the consumer need to understand, and Elizabeth AutoCare is willing to explain in detail what those things are. Your safety will also largely depend on the proper care of your car. If you think about it, you probably are like the millions of Americans that spend a considerable amount of time inside their vehicles. Acknowledging your vehicle has to be serviced regularly is as important as going to the dentist or doctor for an exam. Our mechanics are ASE certified. ASE certification is a voluntary and detailed written assessment of the mechanic’s knowledge on the subject matter and understanding of Buick repairs, procedures and all vehicle components. ASE also requires that the service specialist has provided excellent repairs and customer satisfaction for a minimum period of twenty-four months. Having field experience and tactical knowledge combined with qualitative Buick service and maintenance information is the best way to keep your car on the road. An ASE certification means so much more than knowledge of vehicles and the intricacies of repairs and services. Our ASE certified mechanics will be able to efficiently provide for any necessary repairs in a cost-efficient manner and provide excellent customer service due to their proven knowledge and extensive training. 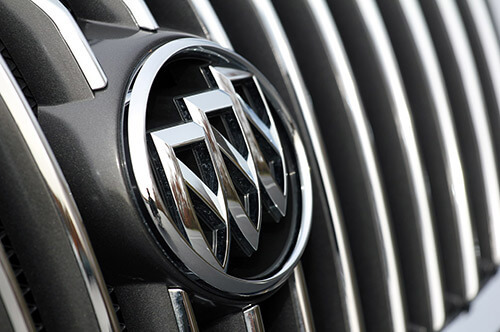 As a customer, we ensure that the best and most knowledgeable service is provided to your Buick car or SUV. We will provide you with a loaner vehicle while your Buick is in our care for repairs. No need to find a ride, miss a days work, or be inconvenienced by being stuck at home – just take one of our 5 Free Loaner Cars and you’ll be on your way. Keep in mind, our loaner cars are pretty popular so you may want to plan ahead to reserve yours for the day you are planning on coming in for service. We offer car repairs, you can trust. Your vehicle is made up of several complex components and parts that allow for a safe and effective mode of transportation. We Understand that the preventive maintenance of your Buick is the key to a long lasting and trouble free vehicle. Keeping your car up to date is simple so long as you comply with the regular checkups our mechanics will be happy to provide you with. 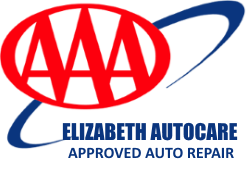 Since Elizabeth Auto Care uses proper procedures recognized and approved by Buick, there’s no need to return to the Buick dealer for your repairs or maintenance. We can provide fully qualified, ASE certified, factory approved warranty maintenance right here in Elizabeth Pa. When it comes to safety and security, you can’t go wrong with a AAA endorsement. And you can rest assured knowing all of your Buick car repairs will be performed with the highest degree of skill and experience available. Being a AAA auto repair shop, we had to undergo an extensive process to prove that we will uphold their strict standards. And every year we need to pass their evaluation testing to ensure these high standards are maintained. Since we are a NAPA Auto Care facility, every qualifying repair on your Buick is backed by NAPA’s “Peace Of Mind Nationwide warranty. So no matter where you drive in this great country, your Buick auto repairs will be covered parts and labor by over 14,000 Auto Care facilities from coast to coast. 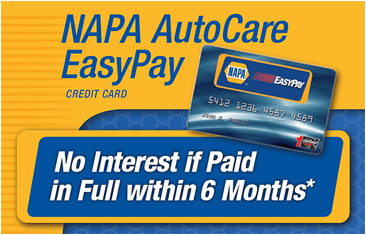 If you use your NAPA Easy Pay Credit Card, your warranty is automatically extended to 3 years/36,000 miles.